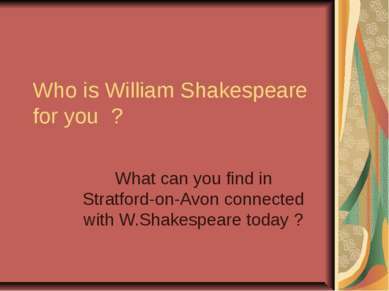 Who is William Shakespeare for you ? 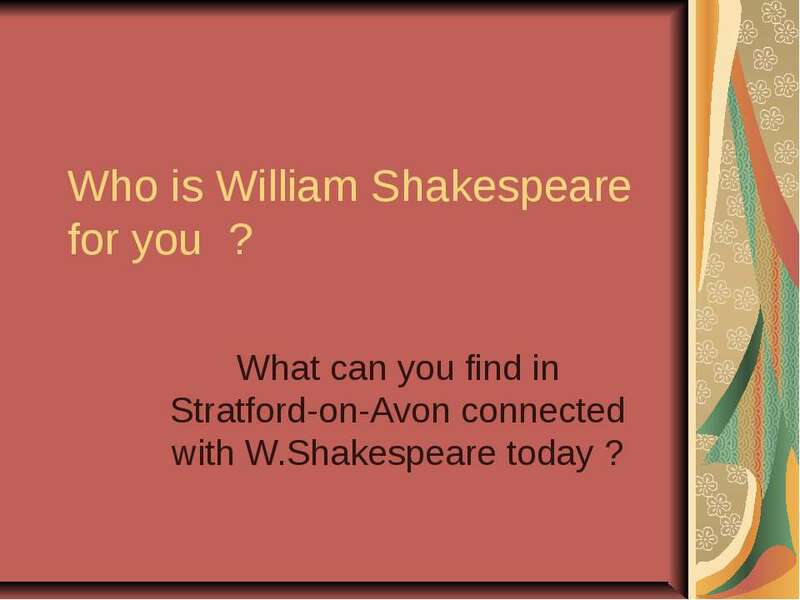 What can you find in Stratford-on-Avon connected with W.Shakespeare today ? 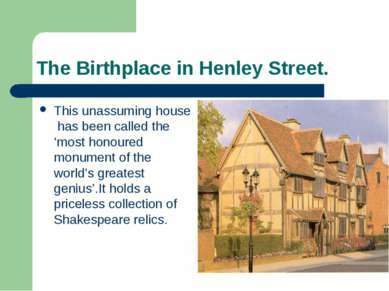 The Birthplace in Henley Street. 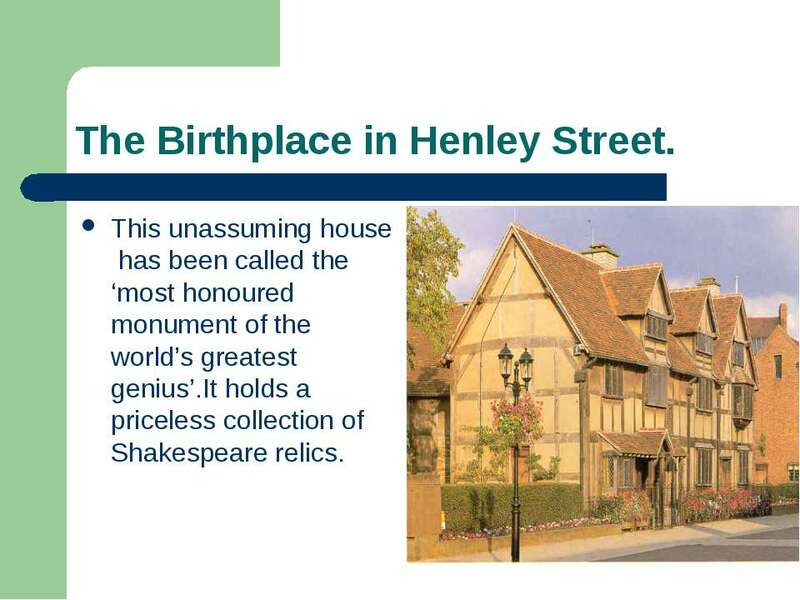 This unassuming house has been called the ‘most honoured monument of the world’s greatest genius’.It holds a priceless collection of Shakespeare relics. 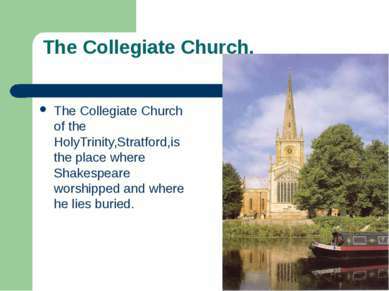 The Collegiate Church. The Collegiate Church of the HolyTrinity,Stratford,is the place where Shakespeare worshipped and where he lies buried. Shakespeare’s Centre. 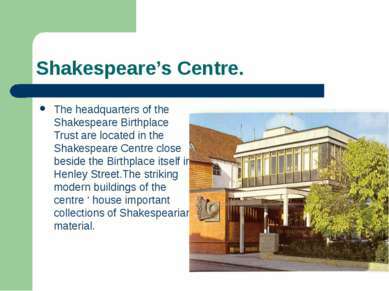 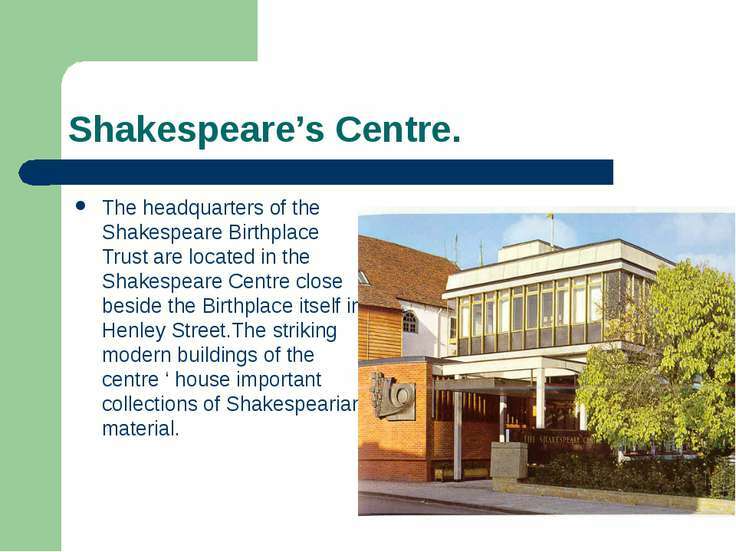 The headquarters of the Shakespeare Birthplace Trust are located in the Shakespeare Centre close beside the Birthplace itself in Henley Street.The striking modern buildings of the centre ‘ house important collections of Shakespearian material. The Royal Shakespeare Theatre. 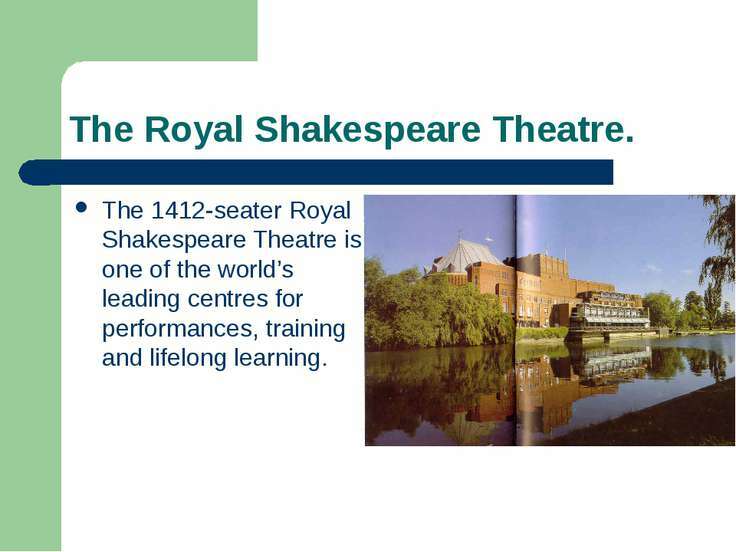 The 1412-seater Royal Shakespeare Theatre is one of the world’s leading centres for performances, training and lifelong learning. The Shakespeare Hotel. 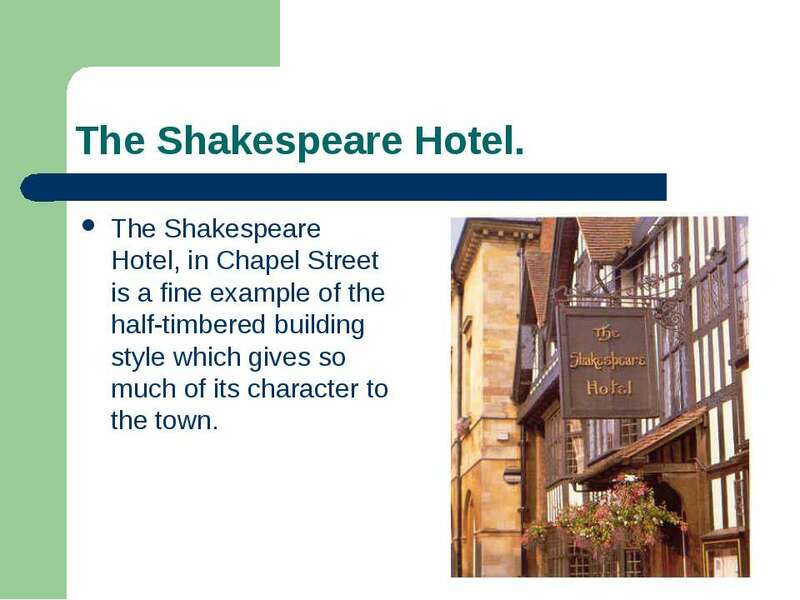 The Shakespeare Hotel, in Chapel Street is a fine example of the half-timbered building style which gives so much of its character to the town.